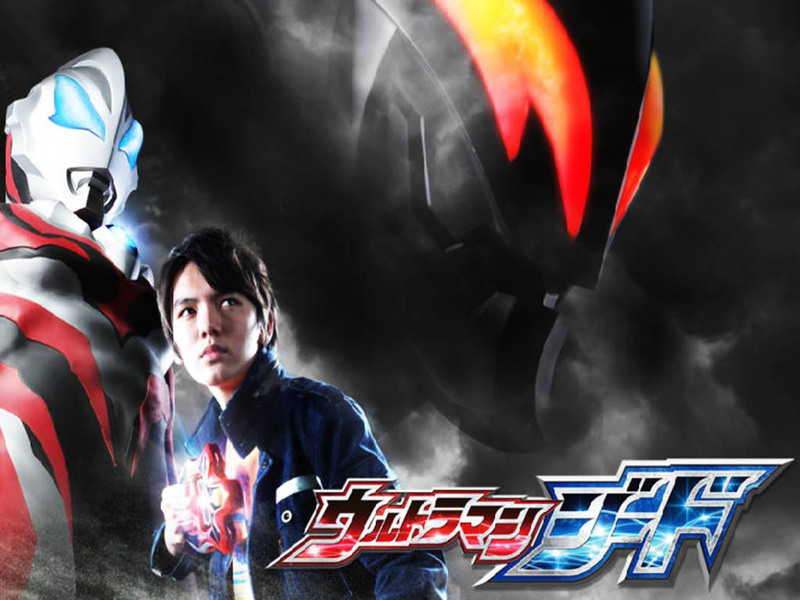 Grâce à Ultraman King, Ultraman Belial et la King Sword, Riku deviendra Ultraman Geed Royal Mega Master ! Son attaque Swing Sparkle permet de donner des coups d’épée très rapidement. 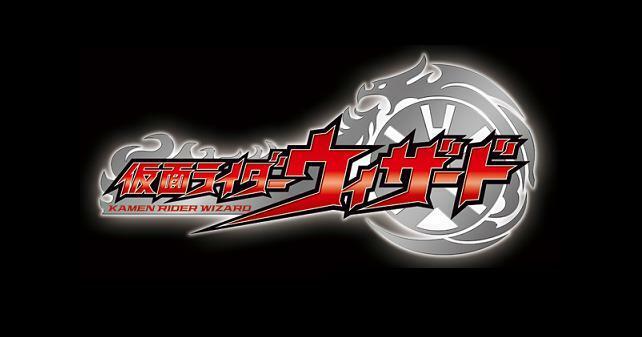 L’Ultra Kyodai Capsule lui permet d’invoquer le Brothers Shield. Son attaque ultime est la Royal End. 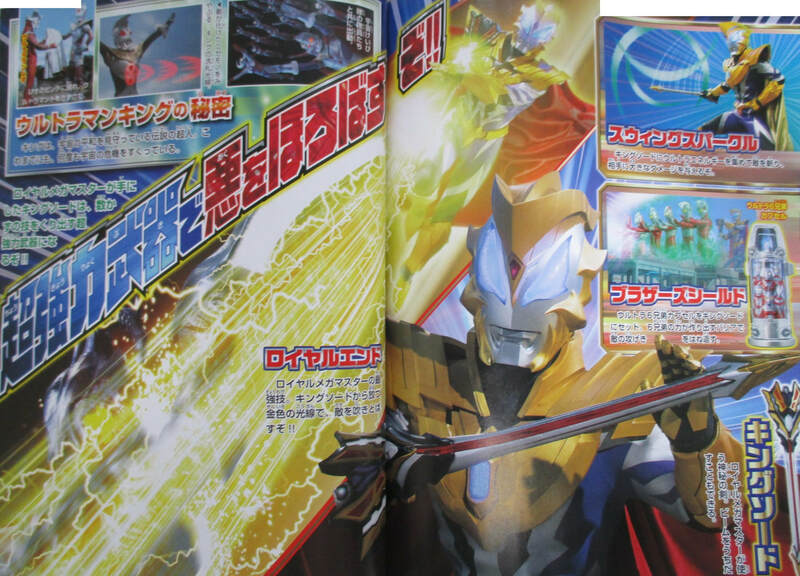 Thanks to Ultraman King, Ultraman Belial and the King Sword, Riku will become Ultraman Geed Royal Mega Master ! His Swing Sparkle attack allows him to quickly draw his sword. 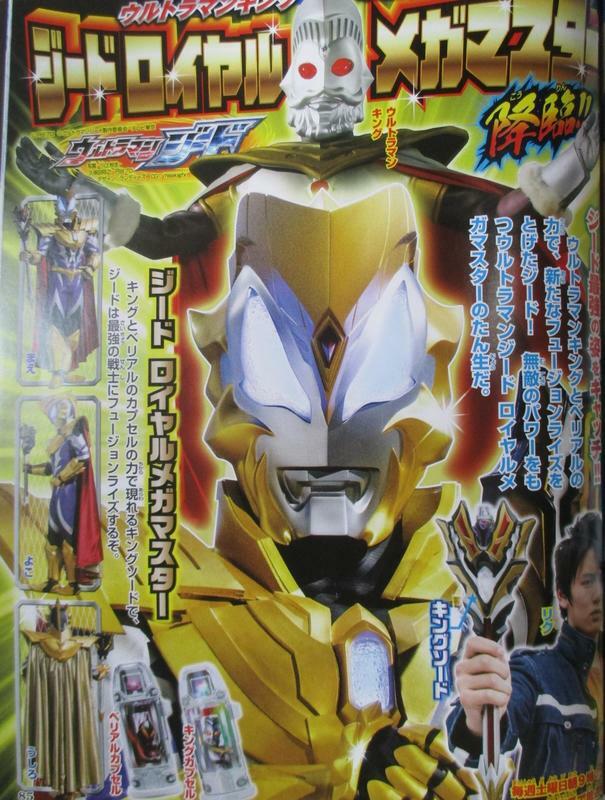 The Ultra Kyodai Capsule allows him to summon the Brothers Shield. 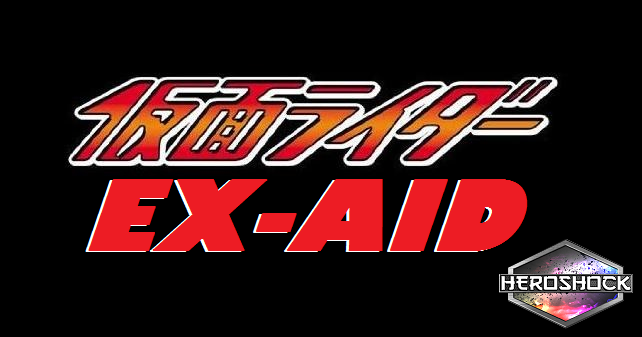 His ultimate attack is the Royal End. Zogu (2e forme) et Five King donneront à Belial une nouvelle forme : Belial Chimeraberus. 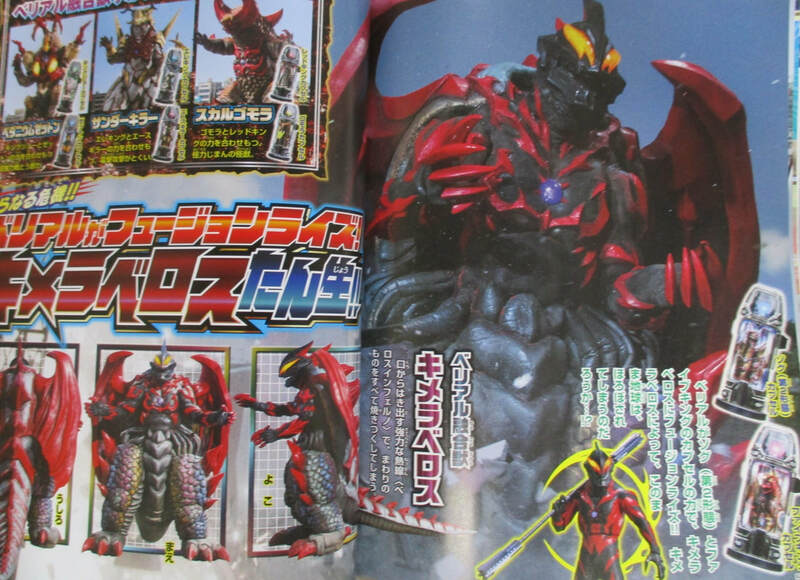 Zogu (2nd form) and Five King will allow Belial to access a new form : Belial Chimeraberus. 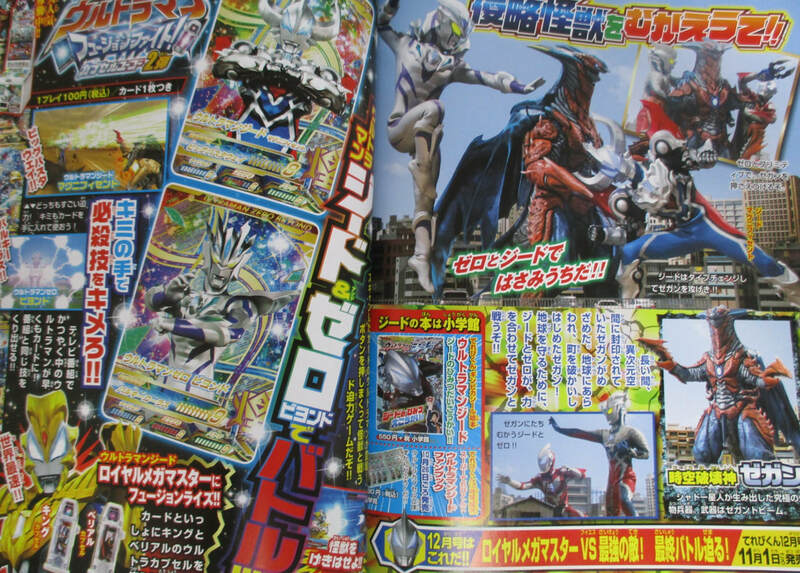 Geed Magnificent et Zero Beyond contre Zegan, qui servira plus tard de matériel de fusion (avec Gubila, Empera Seijin et Dark Lugiel) pour que Belial atteigne sa forme ultime : Belial Atrocious. 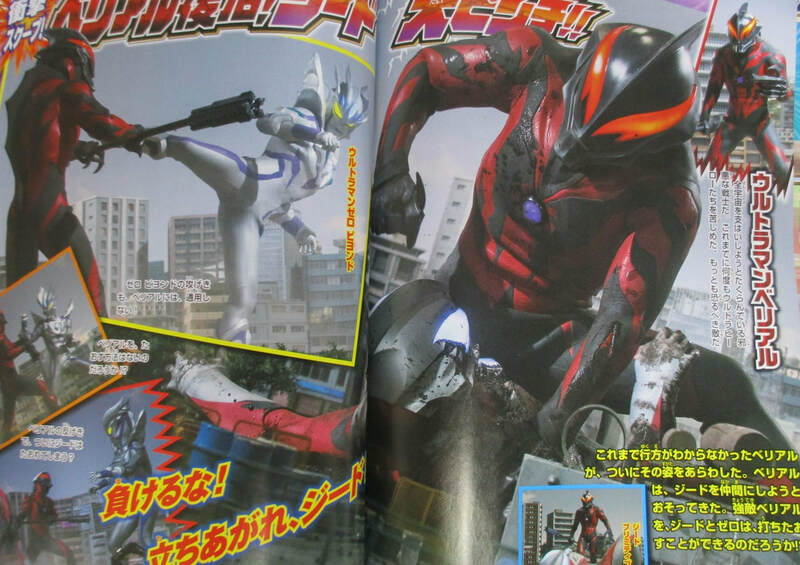 Geed Magnificent and Zero Beyond versus Zegan, who will later serve as fusion material (along with Gubila, Empera Seijin and Dark Lugiel) for Belial’s ultimate form : Belial Atrocious. 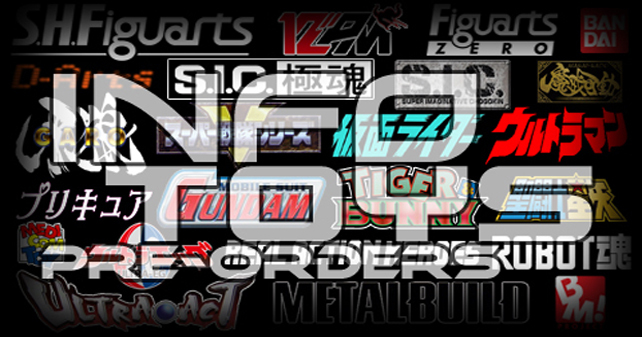 Liste des Ultra et Kaiju Capsules. 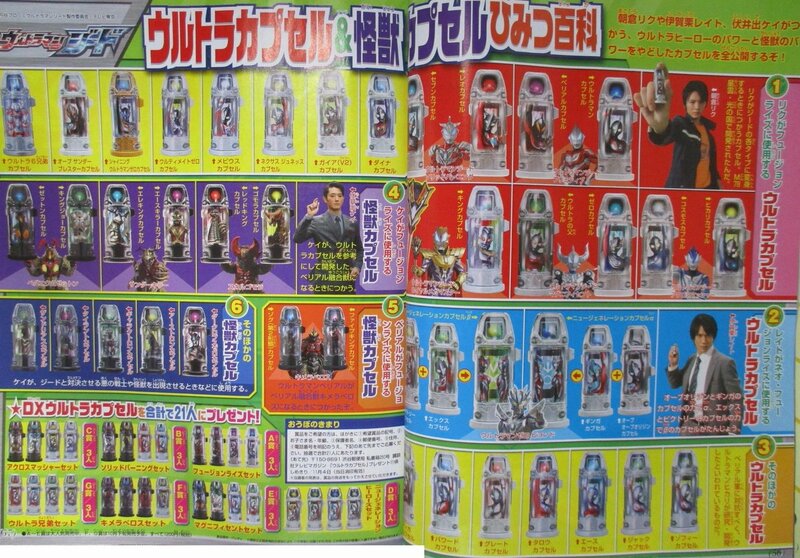 List of all the Ultra and Kaiju Capsules.